Band delights audience with a mix of original work and covers at Turner Hall. 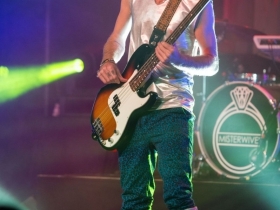 MisterWives . Photo by Nick Semrad. 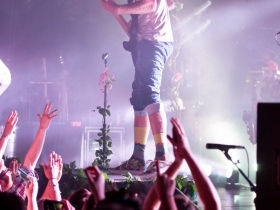 The MisterWives are no strangers to the Milwaukee music scene. The New York City-based band has played at the Times Cinema and Summerfest. 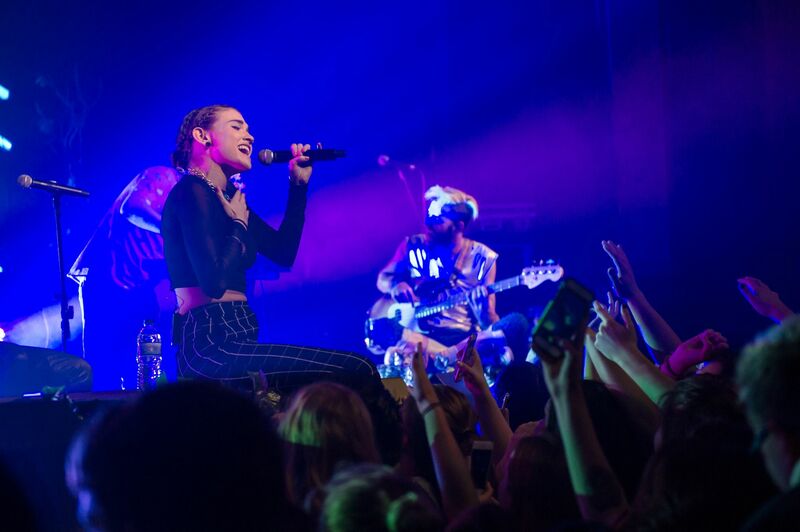 On Wednesday, they took the stage for a sold out show at Turner Hall. The majority of the crowd was made up of suspiciously wobbly teenagers and early 20-somethings. 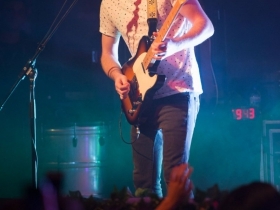 The bands CRUISR and Waters opened for the MisterWives and did their best to amp up the crowd. However, there was no contest between the main act and the openers when it came to the decibel level of the audience’s shouts. 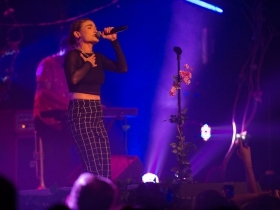 From the moment MisterWives stepped on stage to every transitory pause the crowd never failed to let the band hear their excitement. MisterWives opened the set with their upbeat and surprisingly catchy song Best I Can Do. The opening song set the tone for a high-energy show while saving their most successful songs for later. The band played songs from their new album Our Own House, released earlier this year, including: Oceans, Vagabond and Not Your Way. They closed the set with their two most popular hits, Reflections and Our Own House. It was an interesting choice for the band to not save one of these songs for their encore. Instead MisterWives chose a cover of Whitney Houston’s I Wanna Dance With Somebody and Imagination Infatuation, another song off their new album. Choosing a cover song to encore with is comparable to ending a book with a different author’s words; while it might sound great, it leaves the readers thinking about another’s words, or in this case, has audience members leaving the concert while singing “Ooo, I wanna dance with somebody”. The band also covered The Weekend’s song Can’t Feel My Face to break up their nearly full album set. As many new bands I fear the MisterWives may fall into the trap of creating covers that are just as good as their original songs. The band is just over three years old and has already experience so much success with two songs breaking 100 on the Billboard 200 chart. Due to their climbing success I’ll let the worries of encoring with a cover song slide, however, I cannot stand behind that set list decision. 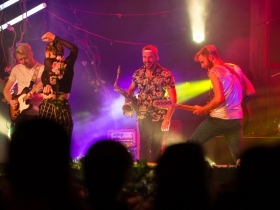 While I Wanna Dance With Somebody is an iconic song it is not unique to the MisterWives. I would have preferred an original encore that showcased the band’s individual sound, instead I was transported to an ordinary dance club on any given Friday night. The set list could use some work but the musicianship and stage presence MisterWives exuded was spot on. While some songs sounded better on the album than live, the band’s lead singer Mandy Lee was mesmerizing and contagious. Whether preaching about human equality or doing push-ups on stage, it appeared as if every attendee’s eyes were glued to her every movement. There is something to be said about a band that can hold an audience’s attention especially when relatively new to the music scene. The fans aided the MisterWives in completing a successful show, but I have to hand it to the band for cultivating a dynamic atmosphere.